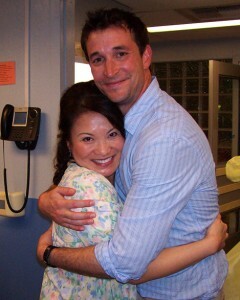 Lily Mariye is no stranger to prime-time TV, having appeared on NBC’s “ER” for 15 years. 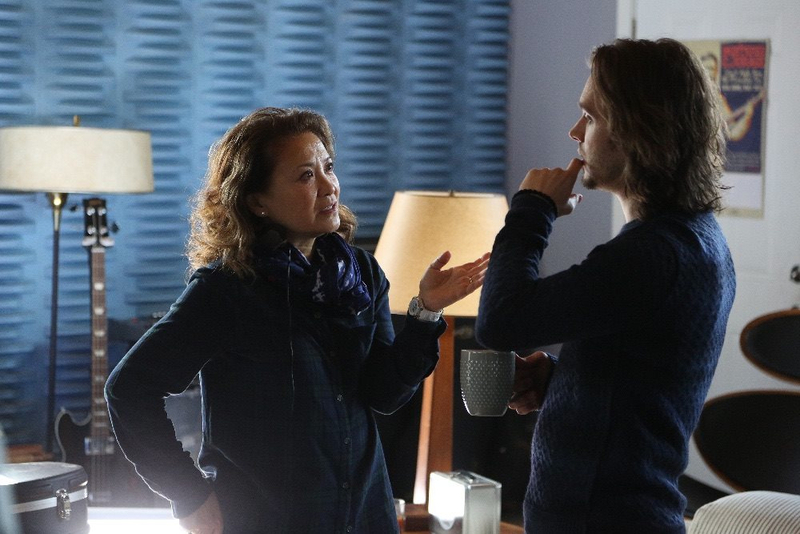 But this week marks a new phase in her career — she directed an episode of ABC’s “Nashville” that will air on Wednesday, April 6, at 10 p.m., and more TV directing jobs are in the works. The episode is a highly anticipated one because it marks the return of rising star Juliette Barnes (played by Hayden Panettiere) after the actress took a leave of absence from the show. A native of Las Vegas and a graduate of UCLA with a BA in theater, Mariye got her start as an actress on stage, including a role in Velina Hasu Houston’s “Tea” — a play about Japanese war brides coping with life in America — at the Manhattan Theater Club in New York, the Odyssey in Los Angeles and the Old Globe Theater in San Diego. Mariye guest-starred as the operations officer of the USS Saratoga in the first episode of “Star Trek: Deep Space Nine.” Although her character was killed during a battle, “it was very exciting — I was a big Star Trek fan and still am — to get to wear a uniform, to get to explode on the bridge,” she said, adding that she received fan mail even though her character didn’t have a name and didn’t get much screen time. On the set of “ER” (from left): Parminder Nagra, Mekhi Phifer (on gurney), Lily Mariye. Other Asian Americans were cast during the run of the show, including Ming-Na Wen as Dr. Jing-Mei Chen (118 episodes) and Gedde Watanabe as Nurse Yosh Takata (58 episodes). Lily Mariye with “ER” co-star Noah Wylie. Mariye is sometimes recognized in public, but not always by name. Sometimes people ask her, “Do you know my sister? Do you work at my bank? … They know they know me from somewhere but they don’t remember unless they’re in a hospital … Then they realize where they know me from.” Occasionally she gets kind comments from aspiring actors who see her as a role model. She caught the directing bug while working on the show. “A few years into ‘ER,’ I noticed one of the actors in street clothes at Video Village, where the director sits and all the production team sits behind the monitors,” she recalled. The actor told her he was “shadowing” — learning how to direct by following a director around. It was Glatter who recommended that New York Times Magazine include Mariye among the 63 women pictured on the cover of a November issue about women in Hollywood. Mariye appeared with such noted actresses, screenwriters, directors, producers, cinematographers and executives as Shonda Rhimes, Lena Dunham, Sherry Lansing, Debbie Allen, Anjelica Houston, Karyn Kusama and Callie Khouri (creator of “Nashville”). Other “ER” cast members who have become successful TV directors include Eriq LaSalle, Laura Innes, and Paul McCrane. Mariye wrote and directed a short film, “The Shangri-la Café,” in 2000. 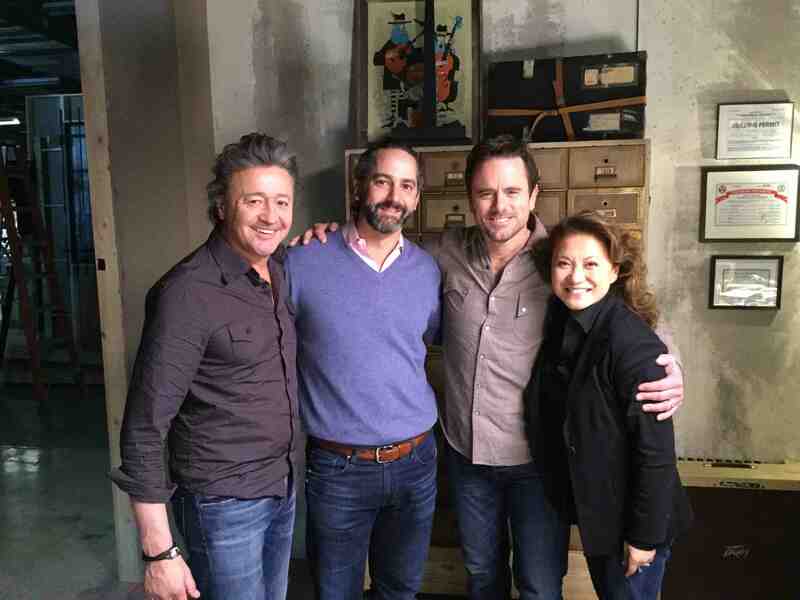 “It was loosely based on a restaurant that my family owned in Las Vegas … in the 1950s. They owned this restaurant before I was born; I never saw it. But at the time Japanese food wasn’t popular in restaurants, so they opened a Chinese restaurant. “Shangri-la Café” was shown at more than 25 film festivals around the world, and Mariye received the National Organization for Women’s Filmmaker of the Year Award and was named one of PBS’ Up-and-Coming Filmmakers of Color. In 2012, she wrote and directed a full-length feature, “Model Minority,” which won 11 film festival awards and got her into the ABC/Disney/DGA Directing Program. It starred Nichole Bloom as Kayla Tanaka, a 16-year-old whose mother (Jessica Tuck) is addicted to prescription meds and whose father (Chris Tashima) shows signs of alcoholism. When her parents divorce, she drops out of school and becomes involved with a drug dealer. 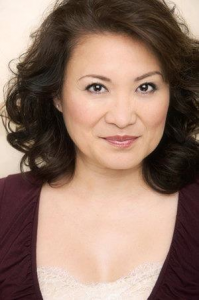 The cast also includes Courtney Mun as Kayla’s sister and Takayo Fischer as her grandma. Explaining the inspiration for the film, Mariye said, “I had met a lot of young women and heard a lot of stories about Asian American girls who didn’t fit the model minority, who perhaps didn’t get the support of a family or strayed away from the path and gotten into trouble, and I was inspired by Janice Tanaka’s film ‘When You’re Smiling,’ a documentary (that) talked about how her parents were in the camps and when they came out they didn’t want to talk about it but they were obviously damaged by what had happened to them. For her first network TV directing gig, ABC approached Dee Johnson, a Filipina American who wrote for “ER” and is an executive producer of “Nashville.” “She was happy to have me come and shadow. I stayed in touch with Dee for about a year and told her how much I loved the show and how eager I was to direct … I convinced her to hire me. As Asian American women are not a familiar sight in the director’s chair, “I could tell that the crew was a little wary because they’re not used to it. I kept my head down, did the work, got us out early, directed a pretty good show … By the end, one of the electricians came over to me and said … ‘We took a vote and you can’t leave. You have to stay and direct all the rest of the episodes’ … That touched me so deeply. Wow I won over this tough old Tennessee Teamster. She considered herself lucky to direct Season 4, Episode 14, which marked Panettiere’s return to the show after taking a leave of absence in October just before Episode 9 started production. Like her character, Panettiere, who was last seen in the Nov. 18 episode, was dealing with postpartum depression. Mariye describes Panettiere as “very talented” and Jonathan Jackson, who plays Avery Barkley, Juliette’s ex-husband, as “extraordinary.” In one of the director’s favorite scenes, Juliette sings her baby to sleep while Avery listens from the next room. 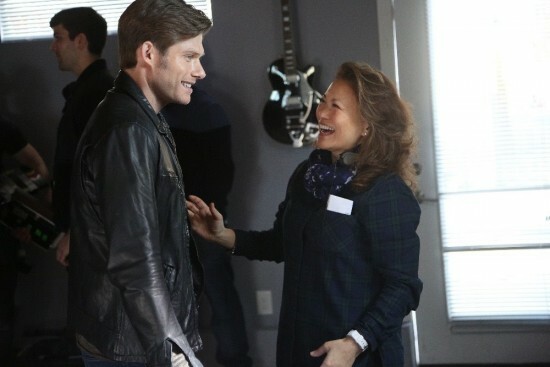 For those who miss the broadcast, Mariye’s “Nashville” episode can also be viewed at abc.com and hulu.com.